A B75 is everything you need to start your city riding experience. The robust steel frame found on all Brompton bikes, built up with a simple spec, ready to go, with all the benefits of the compact Brompton fold. Read more about the Brompton B75 here. The classic M Type handlebar offers a comfortable ride position, ideal for city riding. Paired with a robust 3 speed hub gear (meaning way less maintenance), this bike doesn’t stop at anything. Full warranty and support service that you’d expect with any Brompton bike. 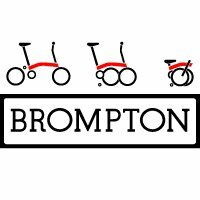 Would you like to try out a Brompton? Test rides available at our Leeds, Aberdeen and Canonmills, Edinburgh shops - see our demo bike page.